Since we started weaning E, we've been lucky enough to work with Ella's Kitchen and try all their gorgeous flavour combinations. They recently brought out a brand new range of 6 months+ tastes and of course we wanted to try them out! We received Cauliflower Cheese, Tomato & Red Lentil Bake, Bubble & Squeak and Macaroni Cheese (chickpea & sweet potato mash is available to buy too). 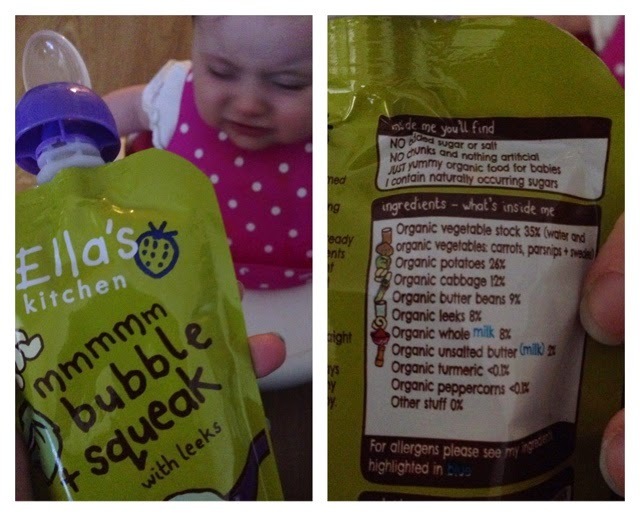 The 6 month+ range are perfect for little ones who are inbetween weaning stages. 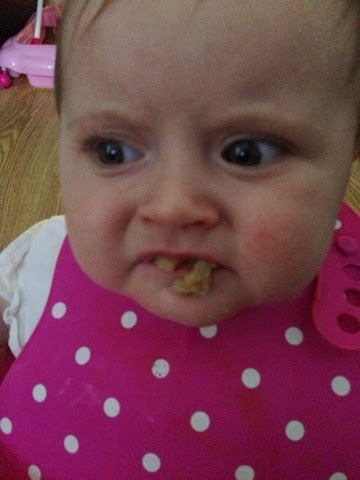 They make the transition from Stage 1 to Stage 2 easier. They introduce your baby to proteins and they are a little thicker than the 4 month+ range. 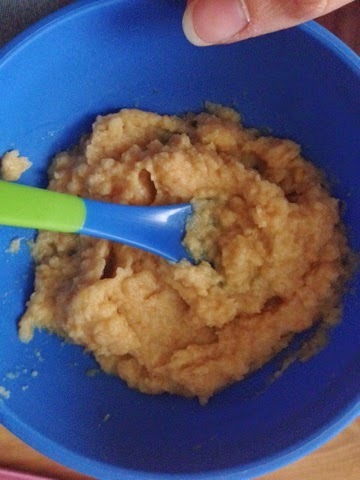 They are still a purée but now your baby has tiny lumps to try too. E seemed to enjoy all of the flavours - I thought they smelled beautiful too - and although she pulled a bit of a face at the first try of most of them, she couldn't get to the spoon quick enough. 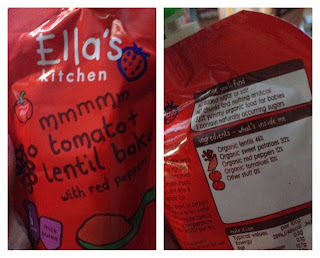 Since trying these pouches, I have actually bought more in the supermarket because E liked them so much. 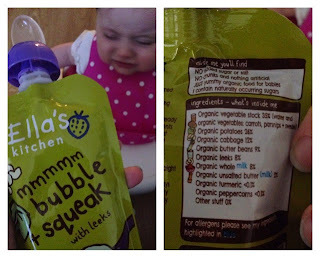 Ella's Kitchen are definitely my favourite brand because there are no hidden nasties - I know that everything my child is getting is 100% organic. I love that you can also feed them at room temperature or heated meaning that they are perfect if you are out and about. You can find the Ella's Kitchen 6 month+ range at all major supermarkets retailing at only £1.29 per pouch. 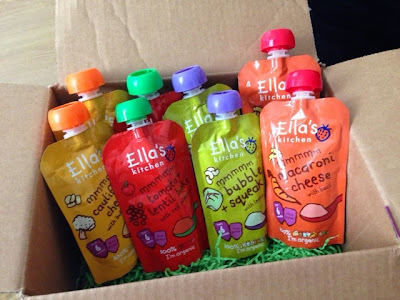 You can also find out more about Ella's Kitchen at their website, Facebook and Twitter. 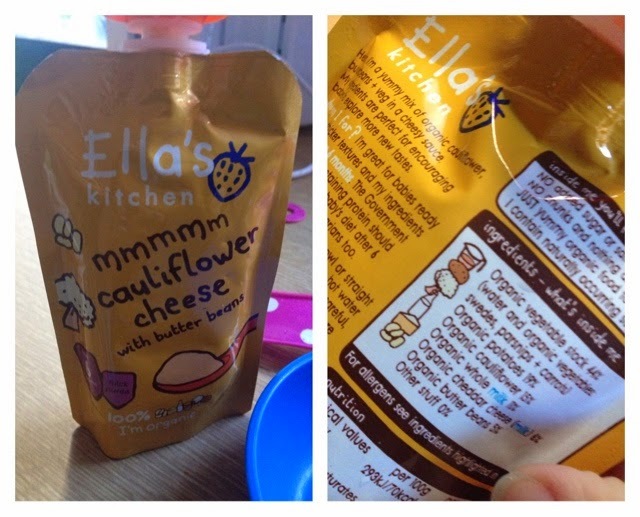 3 comments on "Ella's Kitchen's New 6 month+ Range"
They really do, blogging mummy! Ella's Kitchen are the only brand I'd use because the flavours are true to what they are supposed to be.